Bjørn Nyland has fun with a magnet to figure out which Tesla Model 3 parts are made of steel. Nyland definitely goes about things differently than other YouTubers, but not in a bad way. Much of what he does ends up being super-informative, while usually having an element of humor. In this video, he has access to a Model 3 in San Francisco, and his official testing tool of choice is a Golden Gate Bridge magnet ... of course. The Tesla Model 3 uses more steel than its more expensive siblings, the Model S and X. This was one of many ways the automaker was able to keep costs down. 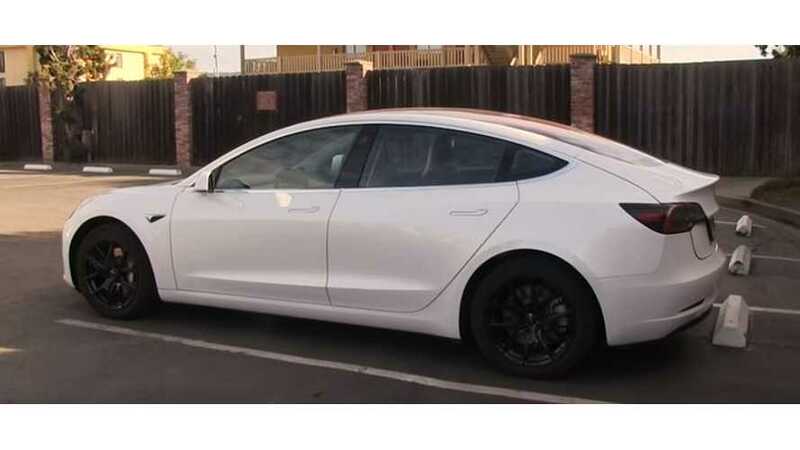 The 3's state-of-the-art design allows it to be incredibly strong, while remaining reasonably lightweight and considerably less expensive than it could have been if Tesla had made different choices. As you can see from the diagrams in the article linked above, the Model 3 utilizes some aluminum, along with three different strengths of steel. The color coding shows where the steel is on the car's frame, but Nyland wants to know exactly where is the steel in regards to the body and other exposed parts? His new souvenir magnet reveals the answer. I came across a Model 3 video I forgot to upload. So here it is :) I used a magnet to figure out which parts of the car were made of steel. Share your thoughts with us on our Forum. Start a new thread about this article and make your point heard.